I love podcasts because it takes virtually no energy to listen to them, and the benefits can be immense. Plus, you can listen to them anywhere, anytime. When you consider the convenience of podcasts combined with relevant and interesting information, there’s no reason not to load up a few of your favorites as you go about your weekend activities. Not sure where to start? Here are a few of my favorites so you can take a passive approach to work this weekend (and start Monday with some tips and advice to put into practice). A Virtual Perception: A podcast focused on virtual business with emphasis placed on virtual assistants and how VAs can support small business owners. Duct Tape Marketing: John Jantsch’s podcast that focuses on providing commentary from industry experts, marketing tips and resources for small businesses. 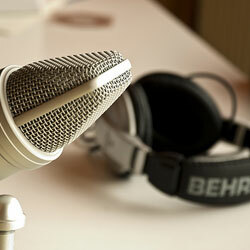 Freelance Radio: Advice, tips and resources for freelancers from FreelanceSwitch.com. GeekBrief.TV: A daily video podcast that covers everything tech professionals would want to know about including product reviews and tech news. Get-it-Done Guy’s Quick and Dirty Tips to Work Less and Do More: Stever Robbins’ podcast providing quick tips on working less and doing more. Harvard Business Review IdeaCast: Ideas and commentary from the leading thinkers in business and management. Killer Innovations: Phil McKinney’s podcast that covers all things â€œinnovationâ€� and offers thought-provoking ideas for entrepreneurs. Managing the Gray: C.C. Chapman’s marketing podcast that provides tips and insights for succeeding in a changing business world. SitePoint Podcast: The official podcast for our very own SitePoint.com, providing tech news and commentary, especially for web professionals. The Engaging Brand Podcast: A podcast that provides useful information about trends in marketing and leadership. If none of the above appeal to you or you’re looking to beef up your podcast feeds, explore some of the podcasts listed on the following directories to create your own “best of” list. What are some of your favorite podcasts with business-related information? I’m looking for a few new shows to at to my list, so please share!